Bishop Michael Curry of the Diocese of North Carolina has been elected and confirmed as the next presiding bishop of the Episcopal Church. The news was announced to more than 850 members of the church’s House of Deputies and perhaps 200 observes shortly before 2 p. m. The election was greeted with sustained applause and song. Curry, who had surgery for colon cancer in November, was born in Chicago attended public schools in Buffalo, New York, and graduated with high honors from Hobart College in Geneva, New York, in 1975. He received his Master of Divinity degree in 1978 from Yale University Divinity School. 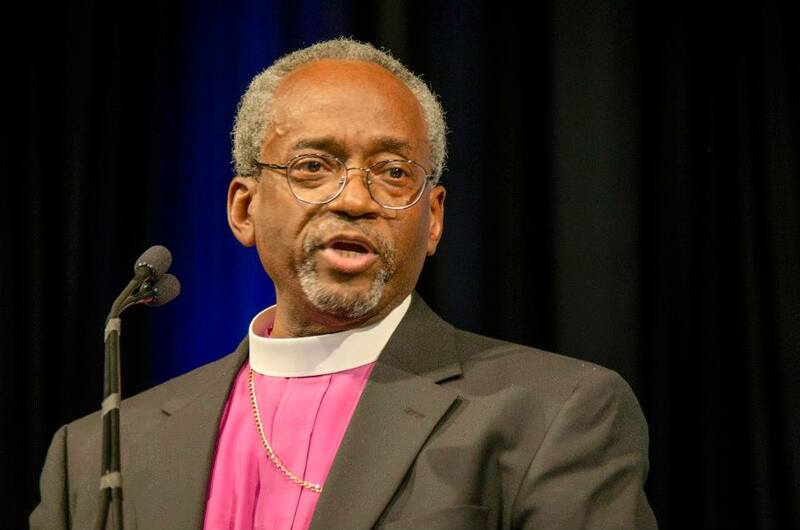 This entry was posted in General Convention and tagged Bishop Curry, First African American Bishop, General Convention, Michael Curry, presiding bishop. Bookmark the permalink.